Pebble is dropping the prices of their popular smart watch to compete with Android Wear and the upcoming Apple Watch — but more importantly, is taking a new focus on health. I’ve always been surprised Pebble hasn’t taken more of a focus on health tracking. To be fair, they have always had a pedometer and plenty of third party health apps, but they have relied too much on those third party apps for tracking health on their platform. They are now finally building in core health tracking features into the watch. 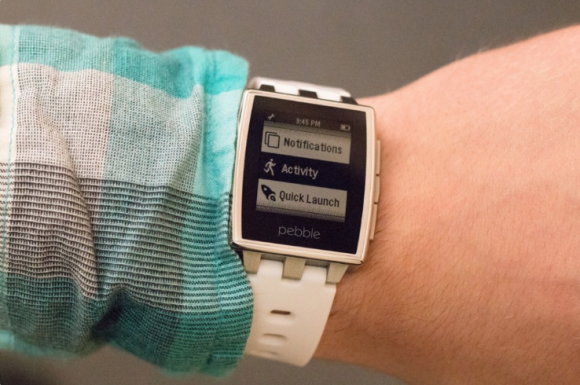 Two core software features Pebble is adding is the ability to monitor continuous activity and sleep monitoring. I suspect Pebble was surprised by the high level of health features Apple built into its core platform for their Apple Watch. Their software response is clearly aimed at features Apple Watch doesn’t appear to have or ones that were not mentioned. 1. The Misfit app for Pebble will now take advantage of Pebble’s sleep monitoring feature and enable users to see their daily sleep activity. When Apple Watch was announced there was no mention of sleep tracking built into the platform. 2. Swim.com will be the first watch app that enables users to measure distance, pace, times, strokes, and efficiency when summing with the Pebble watch. This has long been a feature many with smartwatches have pined for. As Android Wear and Apple Watch focus on health, it’s nice to see Pebble finally building in core features that should have been present years ago. It’s unfortunate because Pebble could have used the last few years to refine health tracking in regards to smartwatches. For the quantified health movement, updates such as this one from Pebble show health metric tracking is here to stay.